Today it is possible to print photos on canvas. The printed photo may be a photograph from an album, a film negative, portraits, or an existing print on paper. Once any photograph in color or black and white is transferred on to canvas, it can be made to look very artistic like a painted piece of art if required. Pop art on canvas is a technique by which different shades of colours are added to an image produced using the original photograph with the help of computer software. This is a very popular process today with portrait photographs. A photo can also be printed as in the original on to a canvas in black and white or colour. 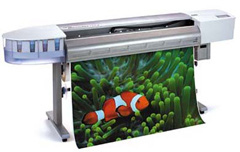 Superchrome, a leading digital printing company in the UK, uses special types of art canvases or standard quality ones to print photos on canvas. Besides printing photos on canvases it is also possible to create replicas of any work of art. These could be abstract art or regular art work. The source is initially scanned with special scanners and converted into digital information. We do undertake touch ups on certain images to give them perfection before printing on to the canvas. This totally digitized process of printing allows for all kinds of magnification, manipulation and storage of images for future use. Besides printing photos on canvas, we also offer a special type of giclee printing that directly prints from a computer but not as the regular dot matrices. This is a superior printing methodology suited for works of art. Superchrome canvas photo printing will take care of your entire quality canvas print needs in a highly professional manner. We are very competitively priced and assure a minimal turnaround time. Our prints are delivered bubble wrapped if stretched and sent by Royal Mail. Contact us for quotes. If you would like to know more about print photos on canvas, any of the projects shown or if you want to discuss any project you have coming up then contact us 020 7237 9333 or fax 020 7237 9444 or email sales@superchrome.co.uk. Our experienced personnel would be able to guide you appropriately.